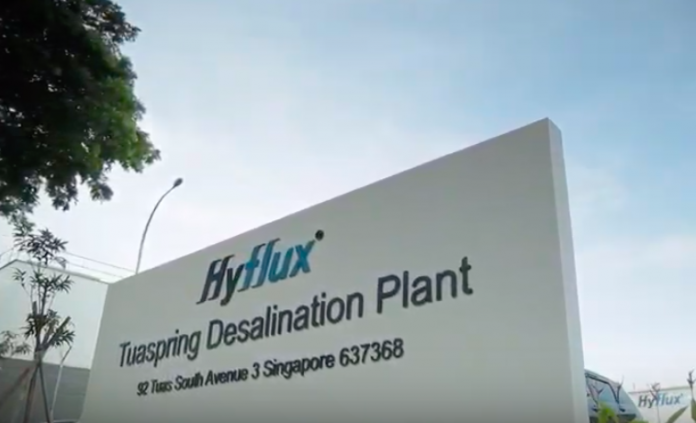 Singapore—In the latest chapter in its financial woes, embattled water treatment company Hyflux has now filed a lawsuit against Indonesian consortium SM Investments due to a failed agreement that would have infused much-needed cash into the water firm. Hyflux and SMI entered into a restructuring agreement on October 18, 2018, wherein the Indonesian consortium would have infused much-needed cash to the beleaguered water treatment firm, S$530 million in exchange for a 60 percent stake in the company. It filed a writ of summons in the Singapore High Court against the Indonesian consortium of businessmen “to commence an action against the investor for repudiation of the restructuring agreement” as well as to claim a deposit of S$38.9 million that had been put into escrow after the deal had been made. Hyflux has said in the past that it has a right to this deposit if SMI would “wrongfully terminate” the agreement. On April 4, Hyflux announced that it was scrapping a restructuring agreement with its would-be white knight SMI. The water treatment company said they had “no confidence” that the deal with Salim-Medco consortium SM Investments (SMI) will push through. For its part, SMI claimed then that it was surprised by Hyflux’s announcement. In a statement, the consortium of Indonesian businessmen said it was “surprised by the action taken by Hyflux. SMI has been waiting for Hyflux to disclose further material information following multiple requests for such disclosure. The delay in disclosing this material information has prevented SMI from determining a workable allocation between working capital and the settlement amount to creditors under the Restructuring Agreement. The Indonesian company further claimed to have followed the agreed-upon restructuring plan and was seeking legal counsel regarding the matter. Last week, on April 11, a lawyer for Hyflux told the High Court that it is still too premature to discuss a new rescue plan for the beleaguered water treatment company, even though the moratorium for the firm’s debt will be up by the end of the month. The company has yet to decide whether it needs an extension on the moratorium protecting Hyflux from its creditors, according to Manoj Sandrasegara of WongPartnership, a lawyer for the water treatment firm. He also said that “all options are on the table,” and that Hyflux will hold talks with all senior unsecured groups. He said this at a case management conference at the High Court yesterday, wherein the company’s numerous creditors ironed out details after the latest development in the Hyflux saga unfolded last week when a white knight deal with Indonesian consortium SM Investments fell through. “If we do intend to apply for the moratorium to be extended, we will need about 10 days to two weeks to talk to the creditors about our next steps,” Mr Manoj said.